Thursday, May 12, 7:40 a.m. – Here we go for day two! My plan is to make it through the entire rest of the show floor today (I covered about a quarter of it yesterday afternoon), then use tomorrow to go back to my favorite booths. I’m mostly still able to walk this morning, so this should be doable. No meal vouchers today, so my backpack is carrying lots of snacks. I plan to be the sad looking guy sitting on the floor against the wall around lunch time eating peanuts and beef jerky while stress breathing and chewing my fingernails. Sorry, ladies, I’m taken. 8:20 a.m. – McDonald’s coffee is all that’s available to me. I’m pretty sure the Starbucks inside McCormick Place will be packed, so I’m stuck with this. 8 :30 a.m. -So the admission line is just a whee bit longer this morning than yesterday. By which I mean about an 1/8th of a mile (I’m not exaggerating). I get in line and wait. Fifteen minutes later the line has nearly doubled. Two librarians in front of me are discussing the accessibility of art for the general public and the snobbery that keeps people away from it. 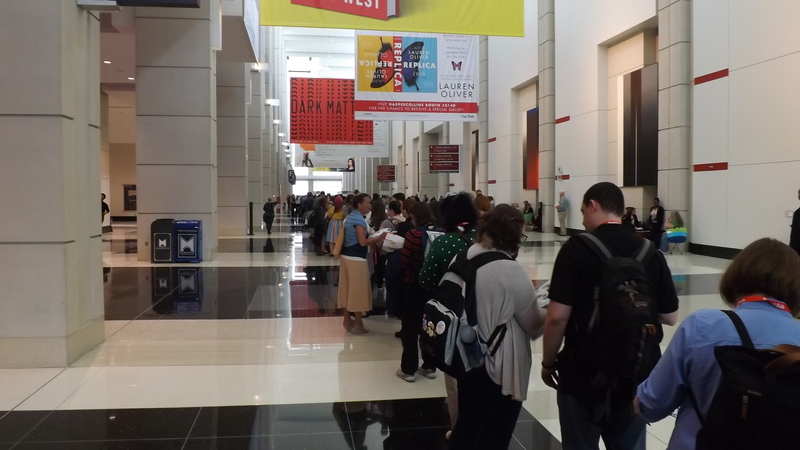 9:00 a.m. – The gates open and the line slowly weaves toward the show floor. Finally. 9:05 a.m. – The first booth I check out is for Litographs, a company that makes artwork out of the text of classic novels. 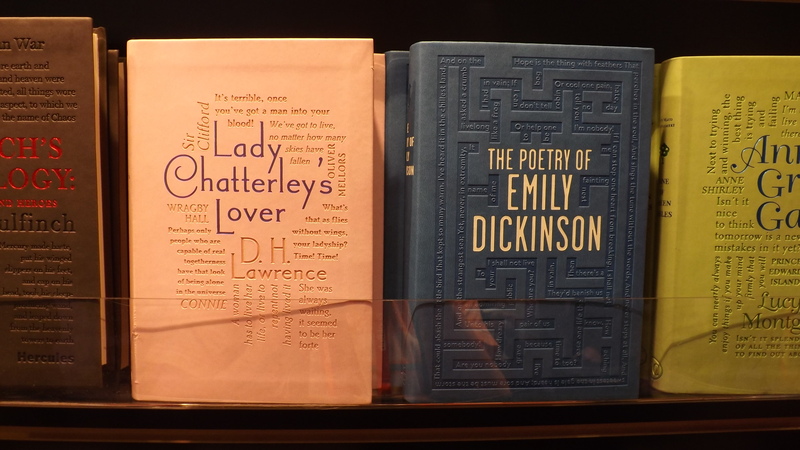 There are wall prints and t-shirts containing the full text of works like Jane Eyre and Hamlet. They are one of the few booths who seem to be actually selling their merchandise here at the show. 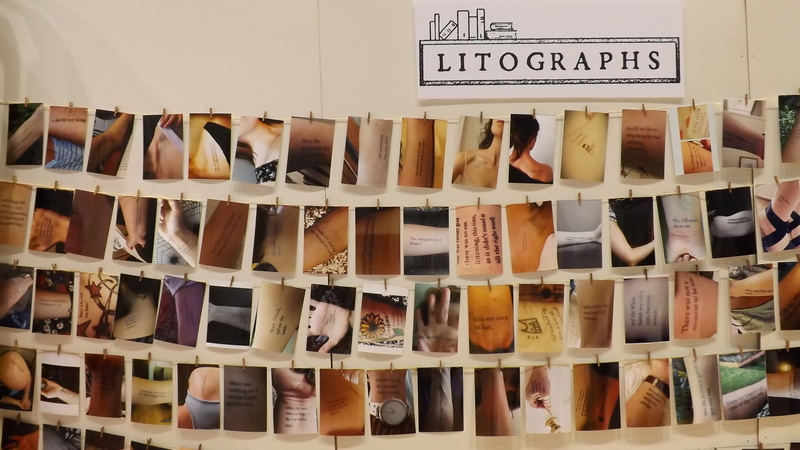 One of their big projects is to replicate the entire text of novels via tattoos. 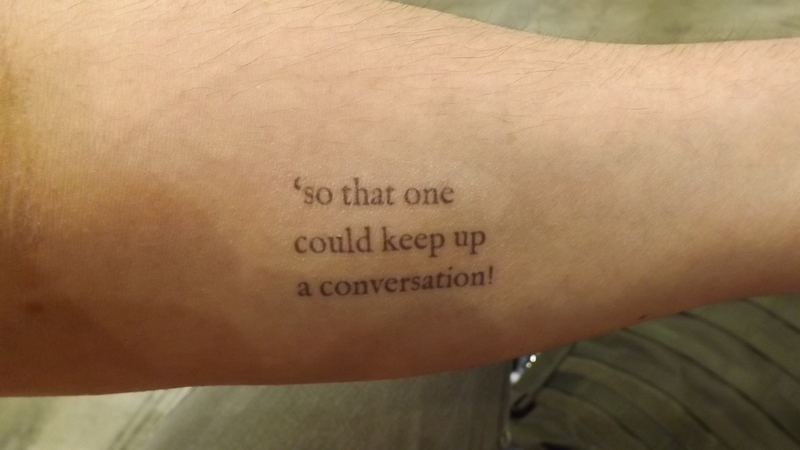 Here at BEA they have set out temporary tattoos with lines from Alice’s Adventures in Wonderland, complete with wet wipes so we can apply them right here. Each tattoo has a number with it, and we’re supposed to take a picture of our tat and email it back to them with that number so they can sequence them together. I chose one that says, “So that one could keep up a conversation.” I trust our YA reviewer, Katy Goodwin-Bates, is jealous, since she loves all things Alice. 9:10 a.m. – I check out Out of Print Clothing, a wonderful company I’ve been buying from for years. 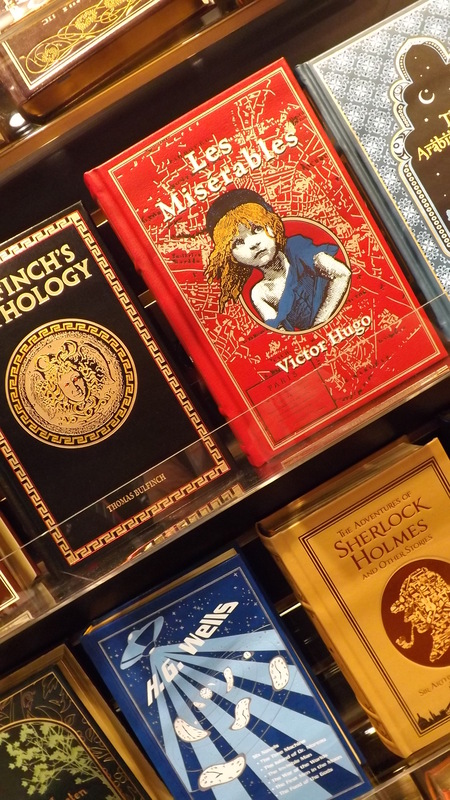 They sell t-shirts and other merchandise with classic books covers. Their stuff is really high quality and looks great. If you’ve come into GPL on a Friday or Saturday when I’m working, there’s a good chance you’ve seen me in one of their shirts (I have their t-shirts for Animal Farm and 1984 by George Orwell, A Wrinkle in Time by Madeleine L’engle, and one with portraits of Edgar Allen Poe that look like they’ve received the Andy Warhol pop art treatment). 9:45 a.m. – I spend a few minutes talking to a nice woman from Dreamspinner, a press that publishes LGBT romance titles. 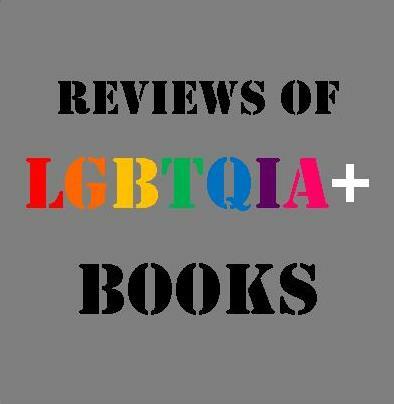 She tells me about their Harmony Ink YA imprint that specifies exactly where on the LGBTQIA spectrum a book’s protagonist falls, and what its specific genre is. This makes it possible to really dial in Readers Advisory recommendations, which is a big plus for us librarians. She gives me an ARC about gay cops, and I grab one of their free chapsticks for my daughter, who collects them like a chipmunk hording nuts. 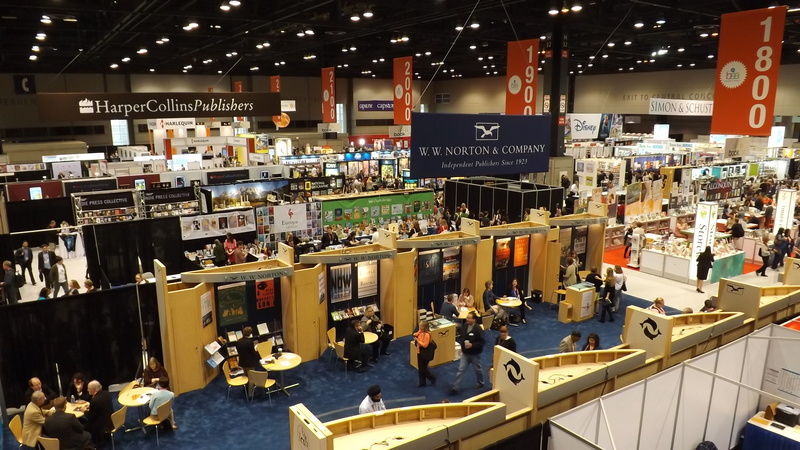 10:13 a.m. – I approach the Graywolf Press booth with reverential awe. I browse their displayed books and grab ARCs for a couple of their upcoming titles I’ve had my eye on. I don’t actually talk to anyone working the booth, because I am sometimes intimidated by awesome, but I promise myself I’ll return tomorrow and actually utilize human speech. Graywolf is, for my money, the best poetry press in the country, bar none. How great are these covers from Canterbury Classics? 10:38 a.m. – Publisher reps: save both of us the time and dignity and just stop offering me free e-ARCs like that’s actually something I should be excited about. 11:11 a.m. – Did you know Choose Your Own Adventure books are still around? I tell the two young women working the CYOA booth I didn’t know this, but I read the books avidly as a kid. They show me their reprints of those old titles I loved, but explain they’ve been updated a bit to reflect changes in technology. 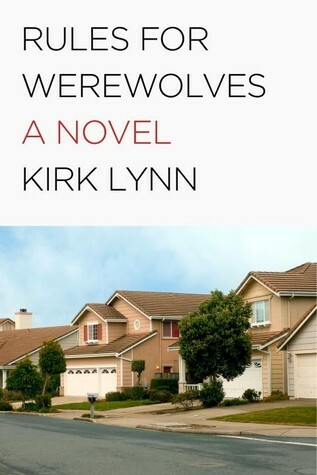 They’ve also added a line of grade school books for kids 5-8 years old, and explain one of the big differences, beyond reading level, is that “not as many of the choices end with you dying.” They show me their newest release, Weregirl, which is their first linear book without multiple narrative options. The book looks cool, but having a Choose Your Own Adventure book in which you cannot choose your own adventure seems confusing. 11:23 a.m. – I stop by the She Writes Press booth and talk to one of their reps. She Writes has a really cool publishing model. 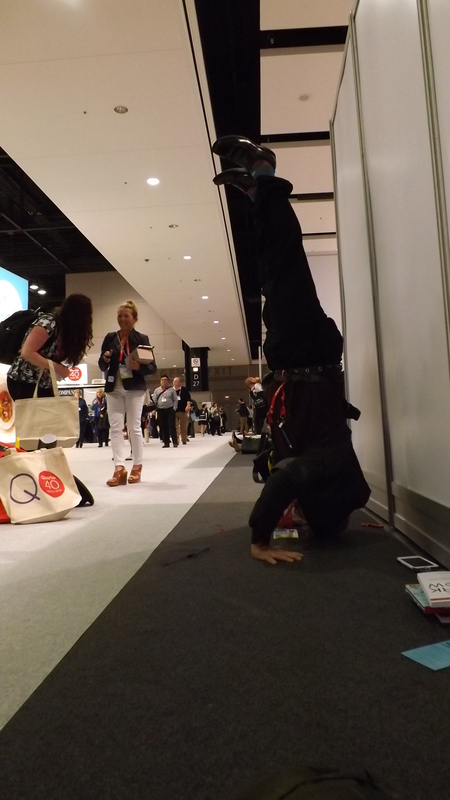 They’re sort of a hybrid between conventional publishing and self-publishing, with the positives of each. There is an editorial process to select projects for publication, so proposals are vetted for quality, but the author fronts the publication cost. The press then works with the author to edit and prep the manuscript, and handles the book design and art, which is often embarrassingly bad in self-published works. The press and the author then share profits. This is a great model that makes publishing sustainable for the small press, but also validates the author’s work as legitimate through the selection process. Cool folks, She Writes. 11:38 a.m. – Publishers Weekly has a lounge for librarians! Thank you, PW. I grab a table and some free coffee and set about cursing at the show’s spotty WiFi while enjoying a rest for a bit. 12:20 p.m. – The booths are roughly grouped according to type. There is a section of children’s publishers, a row of university presses, a collection of digital services companies, etc. It’s not strict, as companies of all types are spread throughout the show floor, but you can still tell there are groupings. I don’t know if this is engineered by BEA or the vendors themselves. 12:44 p.m. – I talk to a nice gentleman from University of Georgia Press about their latest and upcoming poetry and literary fiction, and he stuffs my tote bag full of ARCs. 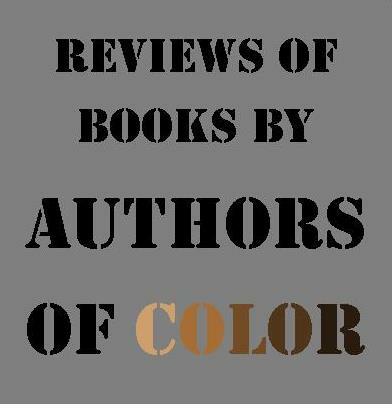 I’ve perused their catalog before, but haven’t read anything from them, and we haven’t reviewed any of their titles here on F&S. I’ll have to check the galleys out and see if I should change that. 1:12 p.m. – I discover U.S. Games Systems is doing free tarot card readings at their booth. I get in line and text my wife to tell her I’m going to get my first tarot reading. She forgives me for doing this without her. I don’t hold to any spiritual beliefs, but tarot has always seemed interesting just for the story-building aspect. My guess is most tarot readers are probably gifted oral storytellers. 1:16 p.m. – The woman ahead of me in line leaves her reading in joyful tears. Dude must be good at this. 1:17 p.m. – I sit down at the table and Matt, my reader, introduces himself. I tell him this is my first time. He asks if I want guidance in a particular area or just to hear “what the universe has to say to you.” I choose the latter. He lays out the cards and begins. He starts with some convergence between the Ten of Swords, a Boschian image with a figure twisted in a spiral with ten swords jabbed in his back, and the Princess of Swords, a darling little figure with a sword who appears to be underwater. This is something about people stabbing me in the back and doing their worst in the past, but it all being over and I’m still standing, and I should be more childlike. He continues through the cards, and there appears to be no real organizing theme to his reading. In my head, a tarot spread involves a broad, uniform picture, but these feel pretty episodic to each card. When he’s nearing the end, I briefly consider asking if it’s a breach of etiquette to take a picture of my cards, but I decide it probably is and don’t ask. I thank him and leave. Very cool. Their bookstore cafe in NYC puts all proceeds toward this effort, and they are here at BEA to encourage attendees and vendors to donate books to the cause. The staffer was talking to someone when I stopped by, so I plan to return tomorrow and find out more. 1:47 p.m. – Stuffed way back in a corner is a small booth from McSweeney’s. Cool to see them here, but I doubt they’re getting much traffic where they are. Too bad. Seriously, Oblation’s cards and papers are gorgeous. 2:15 p.m. – I return to the PW librarian’s lounge to chill out for a bit and get my now heavily laden backpack off my shoulders for a bit. They’ve got really nice sandwiches out for us. PW apparently loves librarians, which is charitable of them, because we’re a weird bunch. Give us food though and we’ll love you and give you our loyalty. We’re like golden retrievers in that way. PW understands this about us. 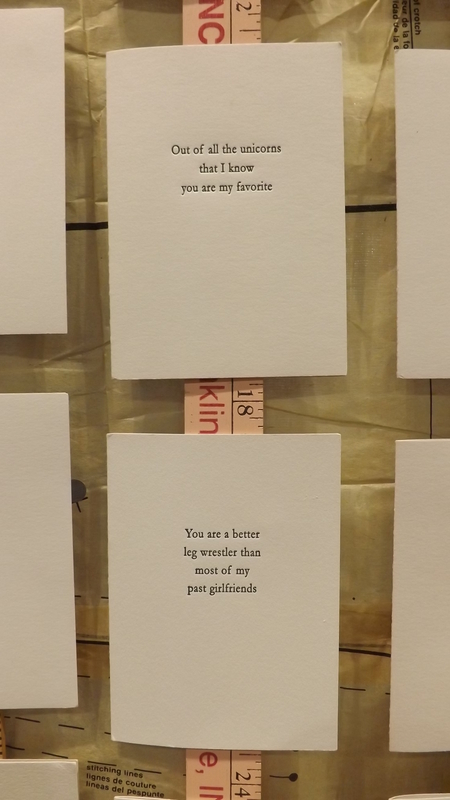 2:23 p.m. – I stumble upon Oblation Papers & Press from Portland, Oregon, who make some of the most beautiful stationary and cards I’ve ever seen. Some of the paper is handmade, and I tell the very cool woman working there I tried to make paper once, but it turned out more like tree bark. “Sounds like art,” she says. 2:49 p.m. – I now have so many tote bags. BEA’s tote bag game is off the charts. My bagger at Kroger is going to be so impressed. This guy is about sixty years old, has a handlebar mustache, and about five minutes later is flinging gummy bears at a trash can about 20 feet away from him, then dodging in and out of foot traffic to retrieve his misses so he can do it again. Never change, Weird BEA Guy. 3:30 p.m. – Done for the day. I’ve seen the entire floor, and my shoulders are pissed off. Tonight I’m going to make a plan for which publishers I want to revisit tomorrow. Day Two is in the bag. Specifically, the tote bag. I am jealous of all of this. My response will be to draw my own Alice tattoo with a pen for work tomorrow. Then I will feel like a part of BEA. Ha. I had just scheduled a tweet telling you you were going to be jealous when I saw your comment.